We could say that the 2017 Mister Supranational candidates did not have an easy morning! They were put to the challenge again, this time on what the pageant producers called the "Extreme Running". We cannot give out much information on what they had to do "in the middle of nowhere", at - 5 degrees C, but these guys were put to the limit, and they did extremely well! They did not have much time to recompose and in the afternoon they were taken to the incredible AquaCity Poprad, where they got to enjoy the warm waters of its many polls, an ice cage, and even some chromoterapy (we are sure it´s something good!). 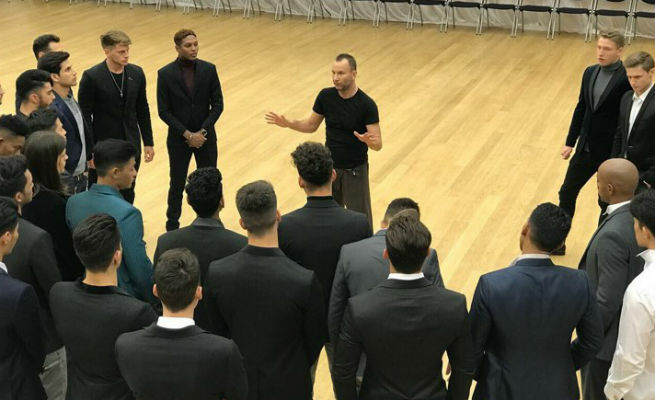 Then it was time for a first talk with the choreographer who will be responsible to put together all the dancing and runway steps for the final telecast. Can this year´s Mister Supranational telecast be more exciting than last year´s?